Eurogamer Portugal has released a new teaser video for Tom Clancy’s The Division, showcasing some rather impressive weather and lighting effects from the Xbox One version. While the video is not of the greatest quality, and given that the footage is taken from the Xbox One version, it doesn’t seem to look quite bad, and somewhat better than the previously released videos we have seen. It could also be that the other two versions of the game, namely the PS4 and PC, could look quite a bit better as well. 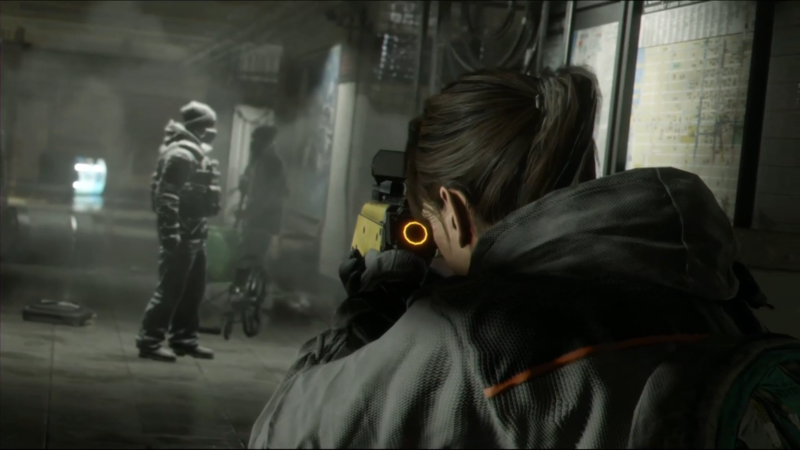 Tom Clancy’s The Division has been criticized for its less than impressive visual quality for the last few months and Ubisoft accused of yet another case of a downgrade. Ever since its initial announcement, Tom Clancy’s The Division has appeared less and less impressive in terms of visuals with each new demonstration, and while it is understandable that certain compromises have to be made to accommodate some less powerful hardware, the initially demonstrated vision promised so much more, so it comes to no surprise that people took notice. The footage, while not totally indicative of the visual quality of the finished game, goes a bit towards renewing some of the faith lost from fans. 0ommunity Developer Hamish Bode, during an interview with lazygamer at rAge, explains that The Division will require you to multitask more in order to progress through the game alone, and the beta will give players the chance to experience the different ways in which objectives could be tackled. Tom Clancy’s The Division has a planned release date of March 8, 2016 for the PlayStation 4, Xbox One, and PC. We will bring you any new information on The Division as soon as it becomes available.